It may not be the world’s most impressive – or clearest – river but the Yarra has long been the lifeblood for much of Victoria. While the parts of the river closest to Port Phillip Bay pick up a green hue, further upstream in the Yarra Valley the river maintains its majestic brown and still brings a richness to the area. Well before white people arrived in Australia, the area’s regular flooding made it an essential source of life and a meeting place for the Wurundjeri people. 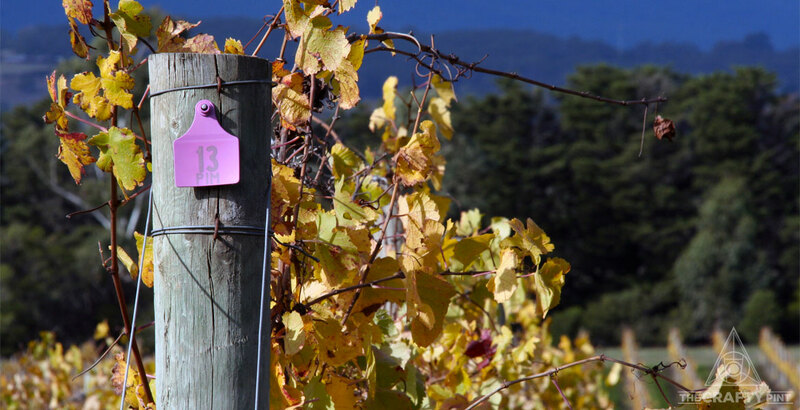 Much later, the valley became an essential food growing region for the new city of Melbourne and the first grape vines were planted as early as the 1830s. Though the local viticulture industry died off in the 1920s, it was reborn in the 1960s and the area has been best known for grapes ever since. But the region today is as varied a food bowl as it ever was, with cheesemakers, distillers, brewers and more combining to make it a destination for those seeking out local food or drinks, even if they have no interest in wine. For those with beer at the forefront of their minds, however, here’s a guide to making the best of your next visit. Arguably the best known of the Yarra Valley’s breweries, Hargreaves Hill has been bringing its refined touch to the Australian beer landscape since way back in 2004, making it one of the elder statesmen of the Victorian industry. It’s a brewery that’s enjoyed quite the ride since opening its first brewery in a shed on co-founder Beth Walkenhorst’s parents’ land in Steels Creek too. That first brewery was destroyed in the Black Saturday fires, but from disaster they spied opportunity, initially brewing on friends’ kits before opening the production facility in Lilydale that is responsible for all Hargreaves Hill beers today. The beer range has evolved and expanded steadily over the years, with longstanding favourites such as ESB, Pale, Stout, R.I.S. and Phoenix joined by various barrel aged and soured beers, the odd big IPA and occasional collaboration and, following a rebrand in early 2018, new core beers Lager and JNR, a hoppy mid-strength. For the purposes of this tour, however, you won’t be calling in to the brewery; no, you’ll be visiting the cellar door and restaurant in Yarra Glen. Beth and Simon Walkenhorst took over the town’s splendid former National Bank building in 2007 and there you can enjoy some of the finest food you’ll find at any brewery home accompanied by a rotating lineup of Hargreaves beers (or one of their limited release 750ml bottled specials) or a selection of wines from the region. Just across the Melba Highway from Hargreaves Hill you’ll find Atticus Wine Bar, a venue that’s about much more than its name suggests. Sure, it stocks a wide selection of local wine, but the bar also offers up a carefully curated list of both beer and spirits. 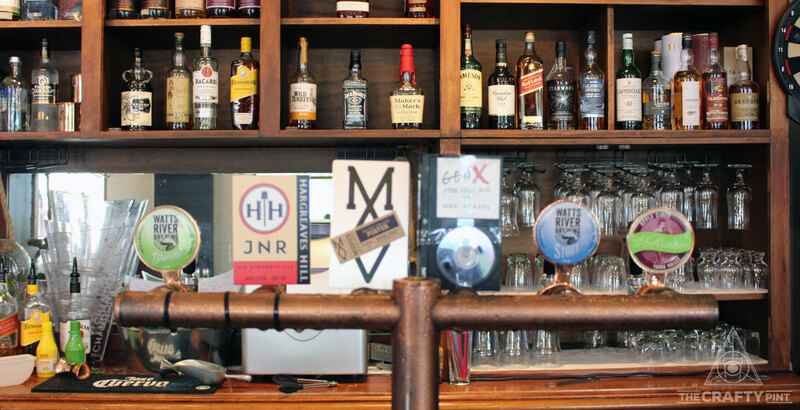 If you’re seeking beer, the bar has six taps and, though Atticus’ neighbours across the road are often represented, so too are small breweries from both Melbourne and further afield. The fridge is also kept well stocked with an ever-changing lineup of tinnies and bottles, which are also available for takeaway. If you happen to be at the end of a long day visiting wineries and breweries and are looking for something distilled, behind the bar sits a vast swathe of whisky, gin and other spirit bottles that often feature within the bar’s rotating cocktail list too. Atticus is found inside Shop 5/36 Bell St, Yarra Glen. If you're heading through the heart of the valley towards Healesville, it's worth taking the slightly longer of the two main routes so you can call in at Napoleone Brewery. It’s the most recent venture from the family behind Punt Road Wines and Napoleone Cider, sharing a site with the latter and Meletos restaurant. It’s quite the site too. Head down the driveway to where the booze and food awaits and you can enjoy sweeping vistas across vineyards and orchards to the hills surrounding the valley. The buildings housing the brewery, cidery and adjoining provedore are none too shabby either, a splendid reimagining of a 150-year-old dairy featuring expanses of timber, brickwork and concrete, reclaimed farmhouse gear, repurposed furniture and welcoming rusted metal. 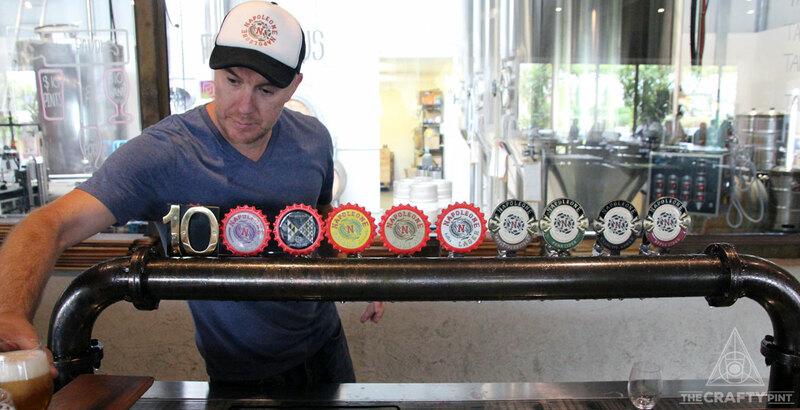 At time of writing, the brewery team – featuring a couple of Hargreaves Hill alumni – was in the process of reworking the beer lineup, although regulars such as the German style lager, American pale ale and rich, hearty porter are typically always on tap alongside regular short run releases. All can be enjoyed with the venue’s delicious food by the glass or tasting paddle, with the brewery – formerly Moo Brew’s – visible through the windows at the back of the bar. When White Rabbit was established in Healesville in 2009, it was quickly embraced by locals and visitors alike, becoming a handy companion piece to the adjacent Giant Steps / Innocent Bystander winery home. So, when the brewery’s parent company, Lion, announced in 2014 it would shutter the site and move the entire operation to Geelong, the news was far from welcome. Yet, as White Rabbit has thrived in its new barrel-and-bugs-filled home, so has a new brewery bearing the initials WR risen to help fill the hole it left behind. What’s more, the replacement-of-sorts (it’s far from a like for like) has two White Rabbit brewers, Aaron Malmborg and Ben Hamilton, and their respective partners Emily Sheppard and Hanna Hamilton, at the helm. 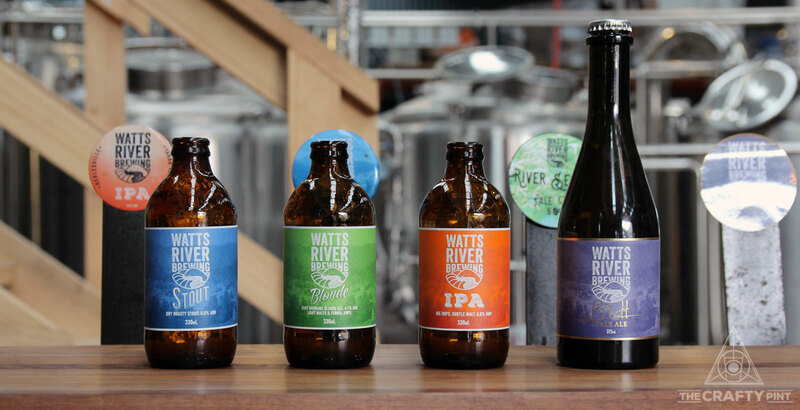 Watts River Brewing launched in 2015 as a gypsy operation but, within a year, the team had moved into an old warehouse a few hundred metres from the river that gives their brewery its name. They wasted little time winning over the locals – and drawing in many of the town’s steady stream of tourists and day-trippers – with a venue lent colour by virtue of its old couches, homemade bar and barrel-lined walls. Those barrels showcase the brewery’s funkier side, one that often involves Brettanomyces, while the Watts River core range is focused on making tight, balanced beers of a more traditional bent, such as a lean IPA and a gently smoky stout. Some of those beers make use of barley grown on Ben’s family farm and you’ll usually find a Watts River beer or two on tap or in bottles in any Yarra Valley venue you visit. Join the happy couples at 7 Hunter Road, Healesville. What they’ve created together – Michael bringing his passion for wine, Kylie hers for food – is a multi-faceted delight. 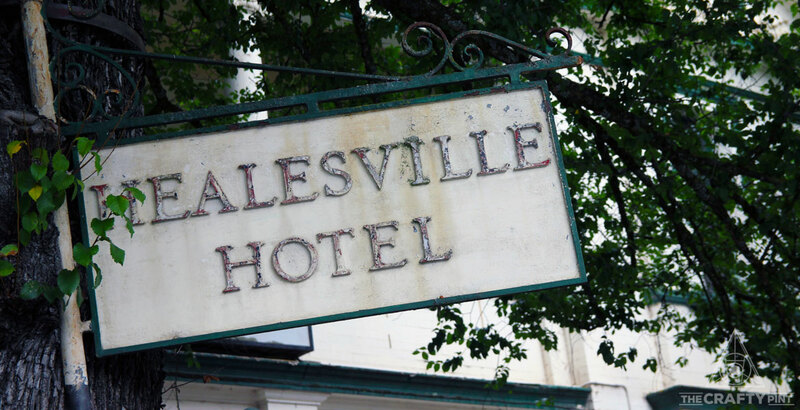 As well as the Hotel itself, combining warm bar, dining room and expansive beer garden – now home to an outrageous BBQ (the result of a mid-life crisis, quips Michael) – there’s a café where once there was a drive-thru bottleshop, a food store, a butcher and high end accommodation. As for the beer, the team picked up back-to-back-to-back Best Beer List titles in the Australia Wine List of the Year awards from 2011 to 2013. Sure, if you’re a regular at the country’s craftier bars and pubs, you’ll have seen far more extensive lists but, with bona fide beer lover Andre overseeing things on that front today, you’ll be happy with what awaits across the taps, typically a mix of beers brewed within a few kilometres of the hotel alongside rotating taps occupied by the likes of Two Birds and Stomping Ground. Indulge your whims at 256 Maroondah Highway, Healesville. On The Crafty Pint's most recent tour of the valley, aside from the more obvious candidates above, whenever we enquired as to who was doing beer best in the area, one name kept cropping up: Monroe's Burgers & Beers. Admittedly, the clue was in the name but, once inside for a late lunch, it was easy to see why locals were eager to give it props. Beer wise, there's three taps showcasing local beer and cider – St Ronan's Cider, Watts River and Riders (the beer sibling of Kellybrook Wines and Kelly Brothers Cider brewed in Moorabbin) were pouring on that visit – plus a selection from other Yarra Valley producers by the bottle. As for the food, the array of burger options is as diverse as it is potentially artery-troubling, all loaded up with fresh, quality ingredients and all available in veggie form should that be required. Throw in a trio of sides made up of crispy chips, onion rings and oozing mac & cheese croquettes and you'll be ready for a nap. 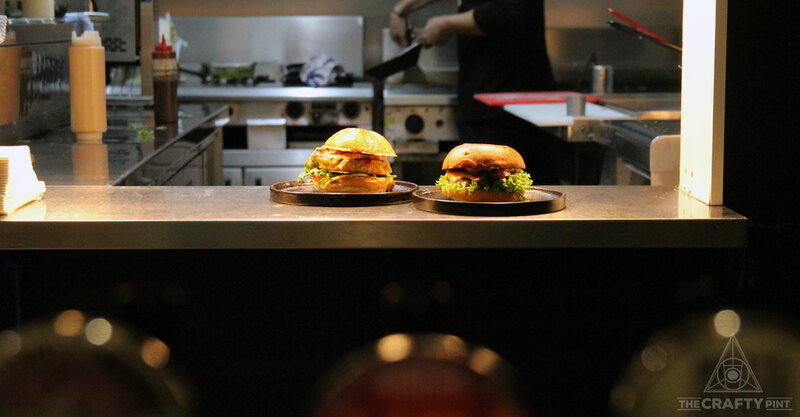 Mosey on in to Monroe's at 228 Maroondah Highway, Healesville. Coldstream Brewery – 694 Maroondah Highway, Coldstream – It's been many a year since there was a brewery on-site (it used to be squeezed into a tight spot at the back) but the restaurant pours a range of beers bearing the Coldstream brand and is a regular stop for brewery and winery tours on the Melbourne fringe of the valley. 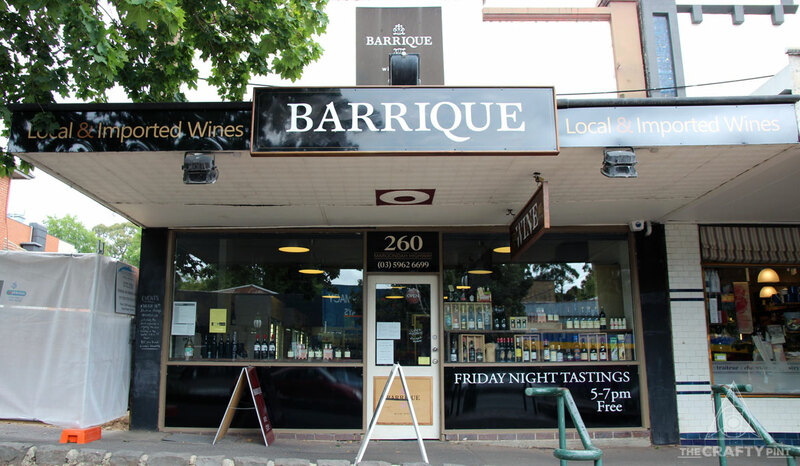 Barrique – 260 Maroondah Highway, Healesville – Like the Healesville Hotel, Barrique is something of a Yarra Valley icon. 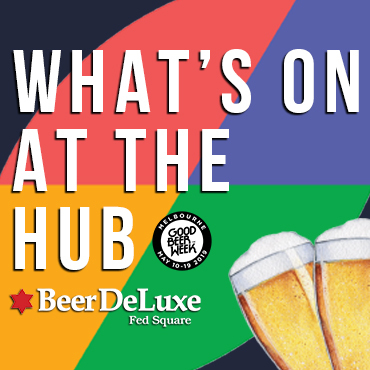 It changed hands in recent years and now offers you the chance to drink in, but the focus on fine wines (local and otherwise), good beer and, increasingly, craft spirits remains, with weekly free tastings too. Giant Steps – 336 Maroondah Highway, Healesville – Ostensibly the home of Giant Steps wines, this elegantly imposing building on the right as you head north out of Healesville is rather more. It's also a restaurant that serves up delicious food, Habituel Coffee – the latest venture from Sail & Anchor, Matilda Bay, Little Creatures and Giant Steps (and more besides) founder Phil Sexton – and offers a fine selection of craft beers to boot. Buckleys Brewery – 30 Hunter Road, Healesville – One of the Yarra Valley's beer pioneers, Buckleys has been through changes of ownership in recent years and doesn't occupy the same prominence in beer drinkers' minds it might have done a decade ago. It's still brewing beers in the same solar-powered Healesville shed, however, and you can call in on weekends to try them while indulging in a spot of table football. Dixons Creek Café Bar & Grill – 1925 Melba Highway, Dixons Creek – Towards the top end of the valley, you'll find this little gem, serving up pub grub from a lengthy menu alongside Yarra Valley wines and a selection of local beers and ciders. Hop Hen Brewery – 17, 64-86 Beresford Road, Lilydale – In January 2019, this family-run operation threw open its doors in Lilydale. You can read about it here. You can check out other Beer Travel features from home and abroad here. Our ever-growing collection of Crafty Crawls can be found here.